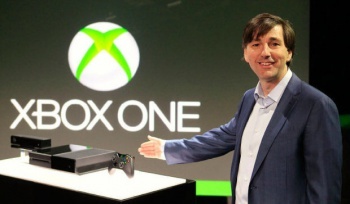 Microsoft executive Don Mattrick says the company has a console for gamers who can't get online, and it's called the Xbox 360. One of the big issues gamers have with the Xbox One is its internet connectivity requirement. While it technically doesn't require an "always on" connection, it does have to connect to the internet at least once every 24 hours, or once an hour if you're accessing your library from a separate console - and if you exceed those limits, you'll be locked out of your games until you're able to get online. That's a pretty big deal, because it effectively locks out gamers who have limited or no internet access - and they're out there - or who simply have a problem with the idea of being arbitrarily denied access to the games they bought and paid for. But Mattrick, Microsoft's President of Interactive Entertainment Business, told GTTV that the company already has offline gamers covered. "Fortunately we have a product for people who aren't able to get some form of connectivity. It's called Xbox 360," he said. "If you have zero access to the internet, that is an offline device. When I read the blogs and thought about who's really the most impacted, there was a person who said, 'Hey, I'm on a nuclear sub.' I don't even know what it means to be on a nuclear sub but I've got to imagine that it's not easy to get an internet connection," he continued. "I can empathize, if I was on a sub I'd be disappointed." The implication that only people living in submarines would have problems with the online requirement notwithstanding, Mattrick claimed Microsoft knew there would be resistance to the decision but said people would come to embrace the idea of a connected console once they actually had a chance to see it in action. "It's a super-passionate community of people. They're loving what we do, it's very important to them, and they're opinionated and they're smart. So they look at all these things and they say, 'Hey, is this going to impact me in a negative way?'" he said. "And until you use it, it's really hard to understand what all the advantages are." His position isn't without validity - it is a "service-based world," as he put it, and things generally are better on the internet - but his turn of phrase sounds dangerously like a dismissal of valid gamer concerns. Of course, it's not the first time Mattrick has had that problem; discussing the Xbox One's lack of compatibility with Xbox 360 games last month, he made a big splash when he said, "If you're backwards compatible, you're really backwards."